A tweed pencil skirt is about as conservative as it gets - but when done up in neon colors and paired with playful stripes, it takes on a completely different vibe. I wore this out for a meeting on a chilly day and it felt like the ideal transitioning outfit from winter to spring. 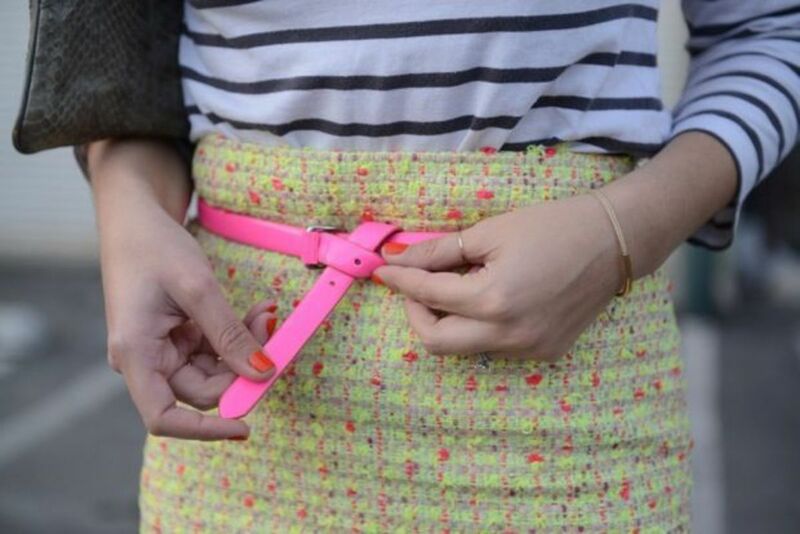 The weather&apos;s been on the dreary side as of late, so a pop of color with a knotted belt and a little sparkle in your hair helps brighten things up.